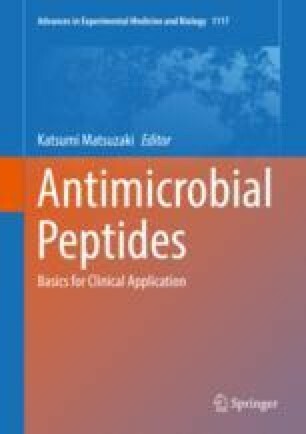 Antimicrobial and cell-penetrating peptides are both classes of membrane-active peptides sharing similar physicochemical properties. Both kinds of peptides have attracted much attention owing to their specific features. AMPs disrupt cell membranes of bacteria and display urgently needed antibiotic substances with alternative modes of action. Since the multidrug resistance of bacterial pathogens is a more and more raising concern, AMPs have gained much interest during the past years. On the other side, CPPs enter eukaryotic cells without substantially affecting the plasma membrane. They can be used as drug delivery platforms and have proven their usefulness in various applications. However, although both groups of peptides are quite similar, their intrinsic activity is often different, and responsible factors are still in discussion. The aim of this chapter is to summarize and shed light on recent findings and concepts dealing with differences and similarities of AMPs and CPPs and to understand these different functions.